After the Second World War, 13 weather ship stations were established in the North Atlantic. 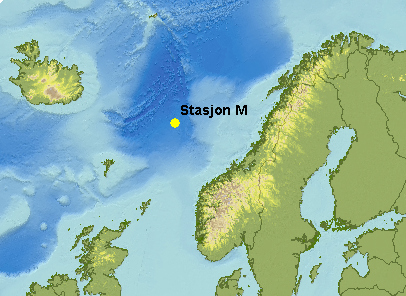 The stations were named by the letters A through M. The station in the Norwegian Sea at 66°N, 2°E was named station M, and since 1976 operated by MS Polar Front (Figure 1). 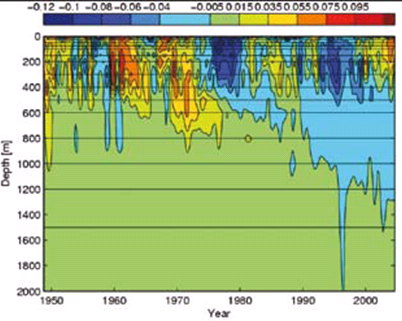 In addition to the meteorological observations, oceanographic measurements were also performed, for example temperature and salt (Figure 2 and 3). One by one the weather ships have closed down operation, and MS Polar Front was decommissioned in December 2009. Since then research ships have taken hydrographic profiles at Station M at opportunity to continue these unique climate series. In September 2011, a new era began. The project Polarbuoy funded by the Norwegian Research Council is sending data from the ocean and atmosphere in real time via satellite transmission from an operational ocean monitoring buoy. The buoy is located near station M, and data will be freely available to both researchers and other interested parties. 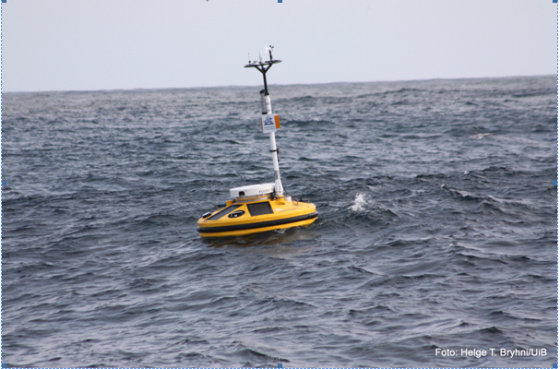 The Polarbuoy project is led by the Institute of Marine Research in close collaboration with the University of Bergen, UNI Research and met.no. The project period is from 2010 to 2013. 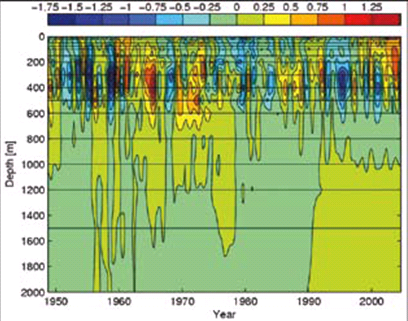 At European level, work is done to establish a global station network of ocean observations. Station M is one of the ten stations in the new project EuroSITES where we will demonstrate that we are able to operate such observatories at European level and further develop measurement methods so that they can be used in a global network.